I’m not in favor of holding innocent living things in captivity, but i feel aquariums (esp Monterey Bay Aquarium) make a good exception. 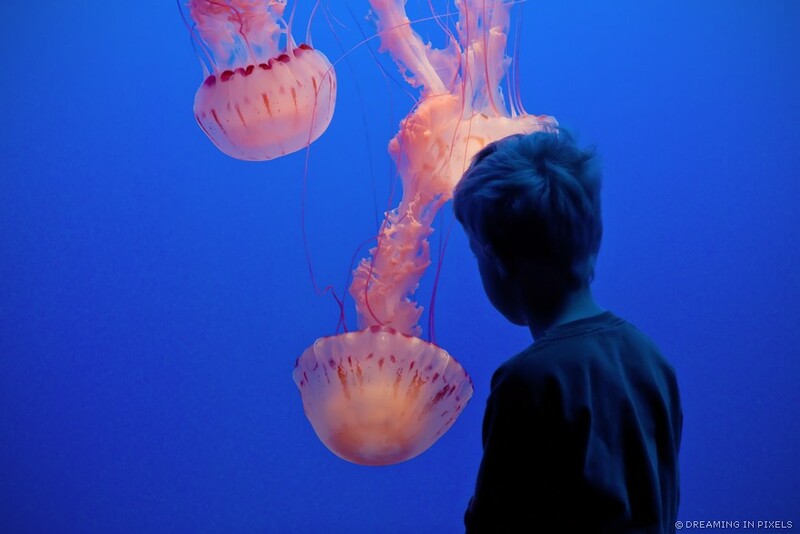 It is a good learning experience and the aquarium provides a natural protective habitat to species that would otherwise be extinct because of selfish human actions. I am not in favor of polluting our natural resources or dumping in the bay either, but humans still go ahead and do it thereby destroying ecosystems that thrive underwater. As George W Bush once said, “I know that human beings and fish can co-exist peacefully”, i’m waiting for that day when we humans realize that this isnt exclusively our planet and there are others who we must share it with. Just remember, we did not inherit this planet from our fore-fathers, we are borrowing it from our grand children. Let’s not screw it up for them. I’m very much in agreement with you, Aamir and loved your photo! Gosh, you are an amazing photographer! This is a lovly picture, and I agree with all you said. I feel I must add however that most zoos provide the same conditions you described this aquarium having. I have unfortunetly been to zoos that do not offer such surroundings. It is a terrible state of affairs indeed, but as I said before. Most zoos provide lovong care and large enclosers for their animals, and most of them if not all could not have survived in the wild.